Robotic Process Automation (RPA) can drive operational productivity and efficiency gains! But it can only deliver value if it is implemented well. Download our exclusive ebook to learn a practitioner's perspective on the top 8 reasons why RPA implementations can fail and the changes in RPA strategy to avoid them. 8 Reasons Why RPA Implementations Fail. Evaluating Robotic Process Automation (RPA)? Here’s a video that shows how RPA can be implemented successfully to automate an expense claim process to reduce processing time, improve accuracy and efficiency. Execute your automation initiatives for extensive benefits via Emtec’s services utilizing the following toolsets. Evaluating what RPA can do for your team or organization? 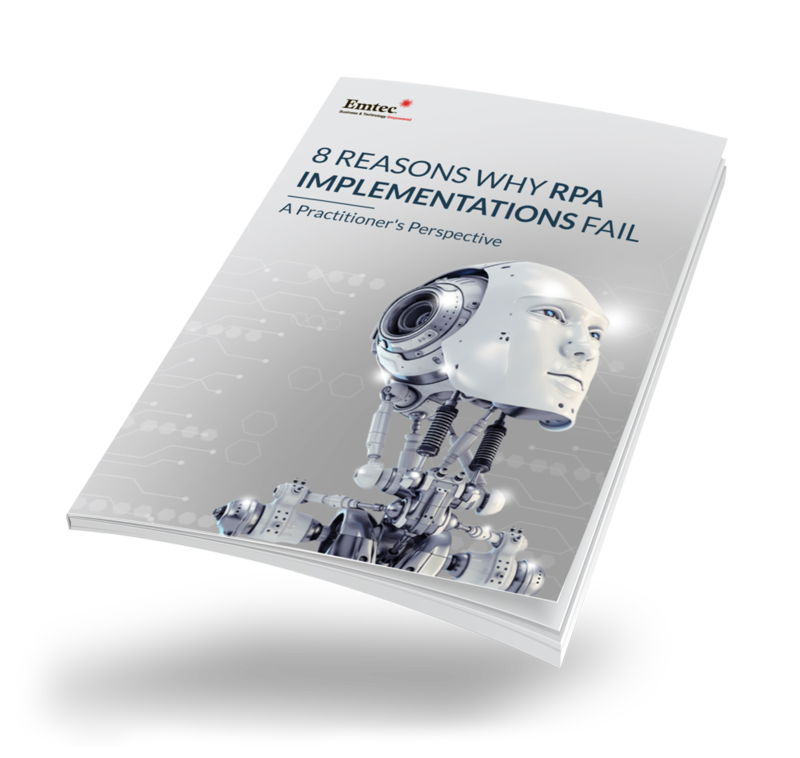 Get your copy of the "8 Reasons Why RPA Implementations Fail" ebook to avoid all potential pitfalls and ensure success from your RPA initiatives.